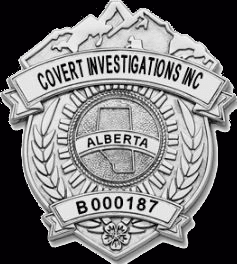 Edmonton Private Detective Agency - Covert Investigations Inc.
Covert Investigations Inc. is a Private Investigation Agency licensed through the Alberta Justice Department & Public Security sectors. We are a Licensed and Insured company recognized throughout Canada, the United States and the world abroad through national media coverage for our outstanding knowledge of the industry. We are also a member of AAPI. Our services have been provided to government agencies, large corporations, small businesses, Insurance companies, Lawyers and average citizens. We specialize in a variety of divisions supported by the latest technology. We also specialize in worldwide sales, service, and support. Covert Investigations Inc. is dedicated to exceeding customers' expectations through professionalism and practices that exemplify the Positive Customer Experience. Our Spy Equipment is second to none and user friendly. If you have questions, we have the answers to all the spy equipment needs and inquiries through one on one service (no drawn out answering machine). Respected for its groundbreaking pinhole surveillance technology, solution intelligence and commitment to excellence, Covert Investigations Inc. now delivers intelligence solutions to businesses and citizens worldwide, providing services and support in almost any aspect of the industry through a world-class network of skilled and licensed Investigators. Covert Investigations Inc. is continuously upgrading and expanding its spy products to best serve all clientele. We are dedicated to increasing knowledge and understanding of issues important to people's lives so we can find a solution to make it better. Our website will inform you of what we do and what we can offer you. Having a professional Investigator work on your behalf will save you valuable time and money. In many situations, hiring a Private Investigator may be the only practical solution to solving your problem. With all competed operations you will receive a full detailed report with regards to your case. Videography and/or photography are also provided depending on the nature of the case. 5673 – 99 Street, N.W.